OKLAHOMA! : The Making of an American Musical. 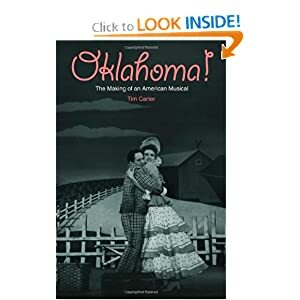 Book by Oscar Hammerstein II. Based on the play, Green Grow the Lilacs, by Lynn Rigg. Music by Richard Rodgers. Lyrics by Oscar Hammerstein II. The original Broadway production opened on 31 March 1943 and was directed by Rouben Mamoulian, with choreography by Agnes de Mille. The production closed on 29 May 1948, running for a total of 2 212 performances. Come and explore this seminal American musical with us. Use the index below to navigate your way around from page to page.